I arose wearily at 0600hrs. Laptop started, made a cuppa, took medications and began doing posts fer me blogging. BT Internet permitting this occasionally this morning. 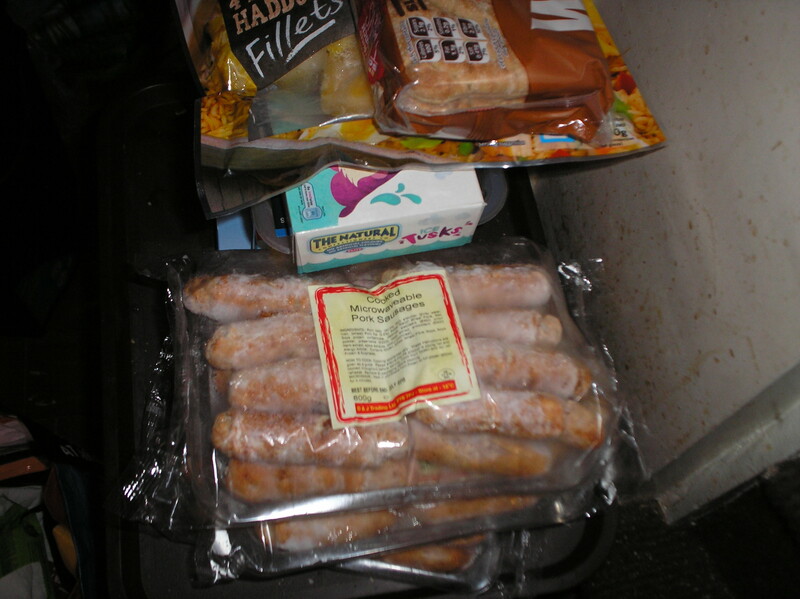 I decided I would go to Bulwell this morning to Fulton’s Freezer Shop, and see if I could acquire some more stocks of the cheapo but wonderful tasting microwave sausages. Up to the bathroom to make myself beautiful… well a wash, shave and clean togs, and apply me necessary creams to the required components of me decrepit body anyway. Made sure I’d got me camera, bus-pass, glasses, hearing-aids in, attack alarm, medications, Medical Awareness card, some money and mobile phone with me. (I’m getting better…. ain’t I?). Shame I decided not to take me walking stick with me – ‘cause as I set off down the road to the bus stop, I had a some difficulty in detaching a little dog that seemed attracted to me right leg. Luckily it didn’t draw blood, despite its obvious intent to. Have to keep me eye out for this on future walks that way down the street. Tsk! 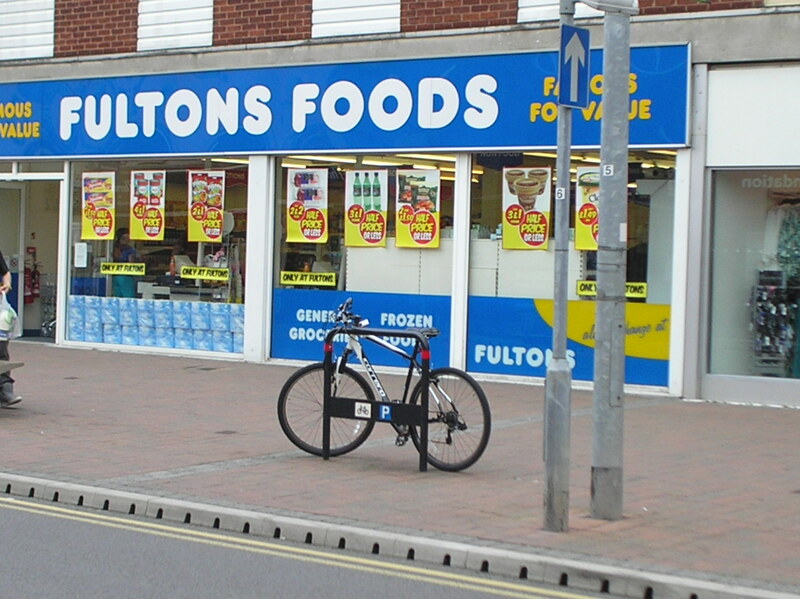 Caught the bus into Bulwell, and called in the Fulton’s there, but no microwave sausages, bother! I remembered there was a Fulton’s in Arnold, so I limped back to the bus station and caught a bus to Arnold. I found the Fulton store on the Main Street, and hobbled in to search for the microwave sausages – there were only two left in the freezer, so I bought em, with a little sadness that there might be no more on the future, ‘cause I love the taste of em. I asked the manageress and she said they have some more in the back. So I made it three packs wot I bought. Then got carried away and bought some smoked haddock and ice lollies as well, now the bag was getting heavy. On the way back to the bus stop to get home to me hovel, I called in the Iceland shop to see if they had and Warburtons wholemeal thins. They had, so I bought a pack… and some more iced lollies and cooked ham on offer… the money I spent… I daren’t take missen anywhere! Then it really was a struggle to carry it all back to the bus-stop. Dropped off in Carrington, just avoiding a passing Mobility Scooter in which the driver was supping from a can of lager! Managed to get back to the flea-pit, and put the nosh away, definitely no room left in the freezer now! Realised I’d left the water heater on, so a bit more money lost there. Has some microwave sausage sandwiches with BBQ sauce, Marmite crisps followed by three ice lollies and a doughnut. Bet I suffer later for that!